I love reading books so I thought I'd create this thread and update it whenever I read a new book and give it a promotion and a brief discussion of what it's about. Most of the books I read are biographies of athletes. I also enjoy reading books about finance and wealth because I want to be financially secure in life. For anybody that wants to read this but doesn't want to purchase it or can't find it at a library you can read it for free on google as there is a free pdf download. The book is similar to what the title suggests and profiles people that have a net worth of $1M+ USD. Most people equate income with wealth and also luxury goods etc. However, this book explains that the overwhelming majority of wealthy people are usually just above-average income earners (usually from small business) who strictly follow the principle of spending less than they earn and avoiding the lifestyle trap of 'keeping up with the Jones'. The money saved from consumerism gets invested, which has a compounding effect leading to a high net worth. It was a good book but gets a bit repetitive. +1 good thread. i <3 books. started using goodreads.com to keep track of books read and books to be read, pretty good system. there's a social element, too, so you can have friends and follow what they're reading and planning to read. my gf is on there and a few other friends. i enjoy, ymmv. right now i'm reading behemoth: a history of the factory and the making of the modern world, by joshua freeman; home fire, by kamila shamsie; and the island of doctor moreau, by hg wells (out loud with my gf). Great idea for a thread. I love to read. Just a side note. what happened to upvote arrows on this thread and the reply posts. 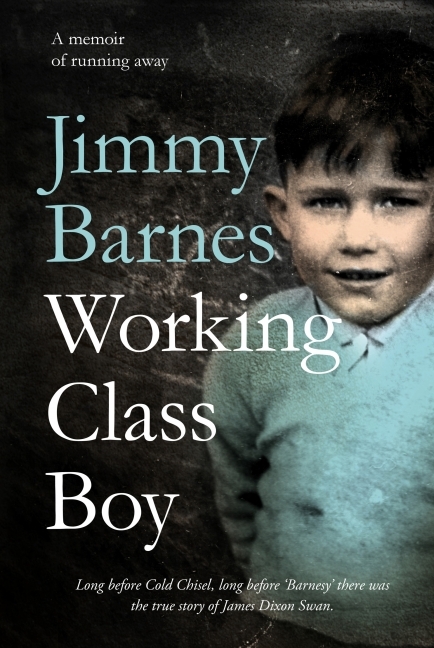 Working Class Boy is an autobiography of an Australian rock legend in Jimmy Barnes. He was first recognised when he was in the band Cold Chisel before going solo. As the title suggests this book is about his childhood growing up in Scotland before moving to Elizabeth in Adelaide, South Australia when he was a young kid. Growing up in Glasgow was rough and his father was a working class man who was formerly a handy boxer and loved a drink as many Scots do. His mum married his father when she was 16 and they had several kids. Life was hard in Scotland (the alcoholism didn't help) so they decided to move to Australia for a new life. Unfortunately the problems they encountered in Scotland were exactly the same in Elizabeth. Money was always an issue because his dad would work all day and spend the whole pay drinking at the pub, which lead to domestic violence etc. At the age of 9 his mum walked out the on family and his dad was never home so it was up to his older sister to run the house. Eventually Jimmy reunited with his mum and his step-dad took him in along with 5 of his siblings but throughout this period he was involved with gangs etc. but he had a natural talent for singing and joined a band and the rest is history. Commentators of the book called his childhood "harrowing" but growing up in the same city I would say it's more common and normal then harrowing because even today in my city there are literally tens of thousands of kids experiencing the same childhood as Jimmy. Absolute gun AFL player and ended up setting the AFL record as most games played. Harvey had elite skill and he could win the footy in the back-half and run away from just about anyone, bouncing it all the way. Despite being an U18 All-Australian, a premiership player with the Northern Knights, winning the best on-ground in the TAC Cup Grand Final and testing well at the draft camp Harvey almost didn't get drafted. Most recruiters overlooked him as being too short (5' and too small to be able to play AFL. However, his explosive speed and supreme skill saw him getting drafted as a late pick and within a few years he went onto become a Premiership player as well as picking up numerous individual achievements. Harvey used his size as a chip on his shoulder and constant motivation. He used the disappointments from being overlooked for junior rep teams and even taunted by rival players about his size as constant motivation and to never get complacent. Harvey's younger brother also played in the AFL (albeit a much less successful career) and Harvey said his little brother was a much more talented player then him and just as athletic, if not moreso. However, his brother lacked the motivation and professionalism to be an AFL players so within a couple of years the league had churned him up. Good read, particularly for AFL fans. Yes, he was a great player. I lived in NM when he was dropped/retired, and it was a pretty big deal at the club (I went to the public gym/rec centre at their Arden st facility). weird. I just enabled good post/bad post on this board, didn't know I had to specify it for a new board. When I first started watching AFL I thought he was the little brother of Robert Harvey- this was at Robert Harvey's peak in the late 90's where he'd get 35 touches a game and was considered an elite player and I always thought 'Gee his little brother is a great player as well but doesn't get too many mentions from the commentators'. It wasn't until a few years later when I worked out that they weren't related. Boomer's little brother was Shane Harvey. I read Robert Kiyosaki's book 'Why the Rich are Getting Richer'. If any of you have read Rich Dad Poor Dad you'll find that Kiyosaki tends to ramble and embellishes a lot of stories about his 'rich dad'. The gist of Why the Rich are Getting Richer is because instead of focusing on income, the rich are focusing on growing their asset base, which unlike income from a job is taxed at a much lower rate. For example if you earn 70k from a job you'll pay 14k in tax so you're left with 56k. However, if you invest in a house and it realises a capital gain of 70k in one year no tax is paid and the house also provides rental income. The capital gain of the house can then be leveraged to purchase more assets. He basically says that the poor/middle class are too busy focusing on income and consuming instead of working on accumulating assets. The controversial part of the book is that Kiyosaki believes the approach used in "The Millionaire Next Door" of living below your means and setting aside 10% of your income for investment in stocks is now redundant. He frequently mentions that savers are losers and advocates for taking on large amounts of debt using Donald Trump as an example of master of debt. good summary! sounds like an interesting read. rant-tangent: lol @ taking on lots of debt tho like "trump". how do we also take on hundreds of millions of dollars from our fathers? I dno I just think he's an awful example of pretty much anything. For the most part, I just personally hate "silverspoon" examples if we're also talking about poor/middle class in the same breath. trump is a con artist who was set up by his cunning but amoral slum lord of a father and then repeatedly bailed out by the man for most of his life. not a great example of "how to get rich" even if you're already rich. Kiyosaki is close with Trump, which is probably why he used him as an example. Kiyosaki was referring to taking on debt to buy assets e.g. residential property and then when the asset appreciates use the equity as a deposit for another property. As a result your debt has increased but so has your potential wealth assuming the property generates rental income and appreciates over time. Basically a book about mindset, spending less then you earn, saving 20-30% of your income and investing that savings into assets. I can't wait to purchase another house!!! Currently I have 671k worth of property (bank valuation from September 2018) and debts against those properties of 560k. My plan is to work on reducing my debts against my PPOR and then purchasing another house in late 2019/early 2020.
hah nice. i save everything.